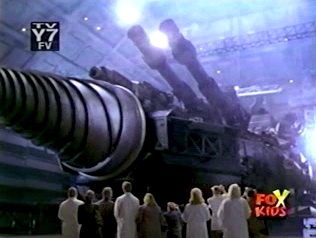 How could Ransik have caused Raimei to exist if the tank took 20 years to build? If Bio-Lab stopped production of Trizirium crystals in "A Calm Before the Storm," how did Dr. Zaskin have two in "The End of Time?" Bio-Lab was Mr. Collins' company which made a number of technological breakthroughs (in part due to the anachronistic presence of the Time Force Rangers in Silver Hills). 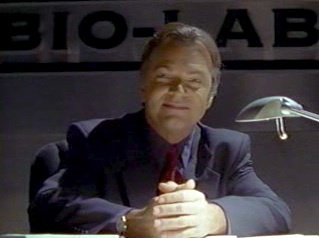 In "Something to Fight For," Mr. Collins referred to the company Wes would head as "Bio-Synth," but "A Parting of Ways" and all future mentions referred to it as "Bio-Lab." 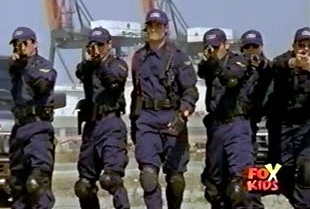 The Silver Guardians were a for-hire defense force founded by Mr. Collins7, though they were eventually reformed to defend Silver Hills for free8. Despite Mr. Collins' plan for Wes to replace him at Bio-Lab13, Wes moved out to "make [his] own future"14. Soon after the destruction of the Raimei Destroyer15, the Silver Guardians debuted, and Wes declined the role of leader after his identity was revealed16. Collins twice declined Eric's requests to lead17 but accepted after the Q-Rex was tamed18 (eventually entrusting Eric with all Guardian-related decisions19); Dr. Zaskin then began researching the Quantum powers20. After Bio-Lab had reproduced a healing serum during the Venomark attack21, Collins refused to surrender the (profitable) serum, but Ransik gravely injured Collins while raiding Bio-Lab's supply22. Executives placed Wes in charge of Bio-Lab23, but Wes left upon learning his father was proud of his self-direction24. 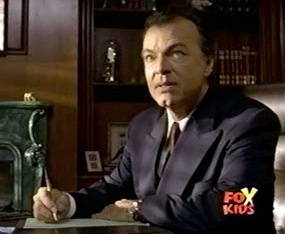 Mr. Collins apparently died in the hospital, but Alex secretly revived him, and Collins and Wes reconciled25. 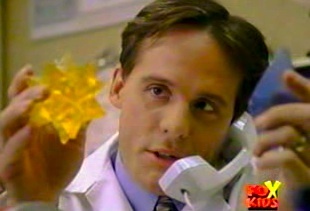 As Bio-Lab perfected the creation of Trizirium crystals, Mr. Collins reportedly stopped production after Wes revealed the Rangers' future origins and asked him to stop26. During the time hole crisis, Collins directed the Silver Guardians (and Philips) to help people in need27; he later invited Wes to lead the new non-profit Silver Guardians (he accepted on the condition Eric served as his partner)28. 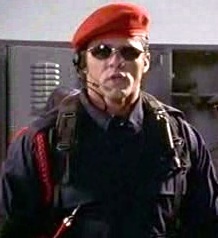 Later, Eric issued a speeding ticket while he and Wes were on patrol together (both wore the red aiguillettes customarily worn by the Silver Guardians' leader, though only Wes wore the red beret)29. 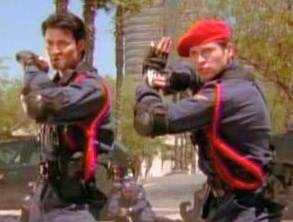 The duo struggled against the Mut-Orgs alongside other Silver Guardians30; they subsequently aided the Wild Force Rangers31 and Tommy's Red Ranger team32. Circuit later noted that according to his data banks (see Circuit for discussion of his data banks), "Raimei [had] never existed," never needing to be invented until Ransik showed up, after which "the city had to defend itself, and the course of history was changed"34. Presenting Mr. Collins with two halves of a yellow Trizirium crystal (they glowed when brought near each other), Dr. Zaskin noted his team's ability to produce the crystal from Zirium powder but that they needed a way to "combine the crystals to be large enough" (which he believed they could do, at which point Collins instructed Zaskin to assign his "best scientists" to the job)35. Following Wes's plea, Eric delivered the same two crystal halves (or ones resembling them?) to Wes, noting, "He's not gonna make the crystal"36. During the later time hole crisis, Dr. Zaskin was holding both a yellow crystal and a blue crystal as he explained the cause of the time holes to Mr. Collins; a chart nearby described the blue crystal as "laser-induced" (did Bio-Lab know how to make both kinds fully at this point?)37. We don't know how or when these two crystals were created. Was it before or after Mr. Collins reportedly stopped production? Was it with or without Mr. Collins' permission? Was it prompted by the time hole crisis? Was it suspended after the crisis? Could the crystals have been found elsewhere (Frax's lab?) without having been created by Bio-Lab? Could the "crystals" in Zaskin's hands have been replicas? 1. Frax's Fury, et al. 7. Worlds Apart, et al.